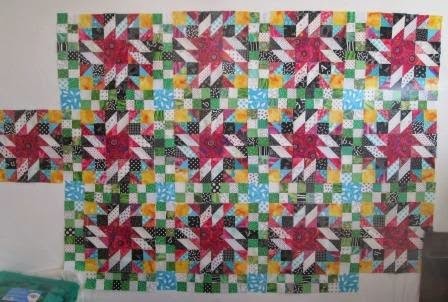 I got to work on my Grand Illusion Mystery quilt at the end of Christmas break. I got 12 blocks done then started put them up on the wall. TOO Much Yellow. My yellow was bright and I was not sure I liked it. I will not finish it if I do not like it. So I looked around. On the left our 3 blocks with different bright pinks I had used. OK but I was still not sure. So the 6 in the middle have a Painted Daisy print. I liked them, I had just bought the fabric a little bit ago. 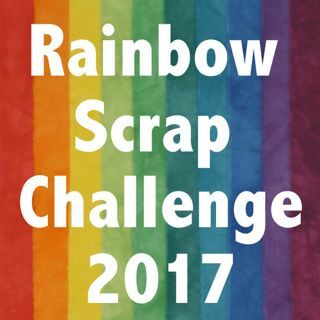 Yes I wanted to change it. I think the light is a bit different these two days. 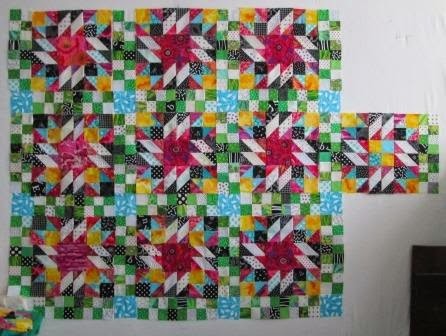 I now have the fabric in the middle changed and all 25 blocks made. I am much happier with this for a quilt. I have some of the sashing and comers just up on the wall so I can see if I like it. I am good to keep going. Now to get the sashing on and blocks into rows. I am not sure about the boarder but we will see later. Do the parts I know for now. Looks great. I'm working on this quilt as well. While it has been enjoyable it has been quite the learning curve. I like both versions. 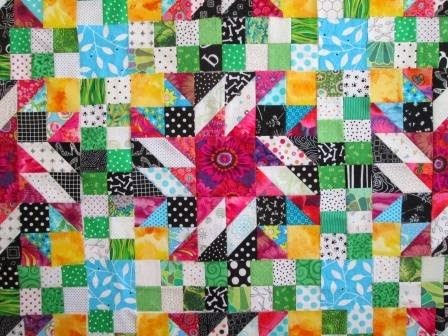 Assuming you had the whole quilt already cut, you could probably finish it for another use, or donation. 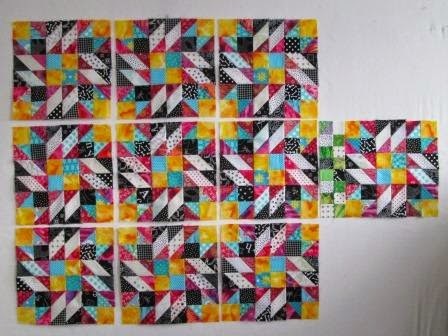 Really just sew a border around these finished blocks. It's been interesting to see the many variations on the GI color placement! Your solution looks great. Great progress. So glad you found a solution that makes you smile.